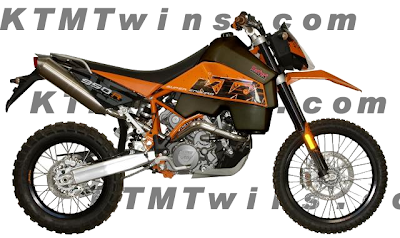 KTMtwins.com KTM Motorcycle and Product News: KTM 950 Super Enduro Safari Tanks now in stock! Safari Tanks for the KTM 950 Super Enduro are by far one of the hottest items this year. With increased fuel capacity you won't be looking for a gas station every couple of miles. If you have been looking for a tank and have had a hard time finding one look no further. They are in stock and ready for shipment. They won't last long so order one up today!